Clutch hits from David Freese and Manny Machado carried the Los Angeles Dodgers to a National League Division Series (NLDS)-clinching 6-2 victory over the Atlanta Braves. 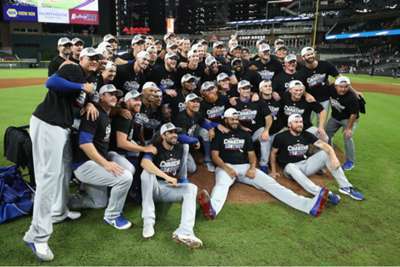 The Dodgers advance to play the Brewers in the National League Championship Series (NLCS), with game one in Milwaukee on Friday. It is their third straight appearance in the NLCS. Coming off their World Series loss to the Houston Astros last season, many observers thought the Dodgers were poised to once again play deep into October. But shortstop Corey Seager suffered a season-ending elbow injury a month into the season, and ace Clayton Kershaw battled injuries throughout the year. In late August, the Dodgers were in third place in the National League West, just a few games above the .500 mark. Yet the Dodgers rebounded to finish the year on a 25-10 run, and have continued their hot play in the postseason. Manny Machado's offensive metrics have been down since the Dodgers landed him in a trade with the Baltimore Orioles. His home run rate and OPS are down, his strikeouts are up. But the slugging shortstop might suddenly have found his Baltimore form. His two-run home run in the first inning of game two gave the Dodgers all the runs they needed in a 3-0 victory. Still, that was Machado's only hit in 12 at-bats coming into game four, when he came alive. He opened the scoring with an RBI double in the first, then added a three-run home run in the seventh inning. The Dodgers lineup is so deep, they can win even with the numbers Machado put up the last two months of the season (an .825 OPS, 13 home runs in 267 at-bats). But if he starts swinging the bat the way he did with the Orioles, he makes a great lineup that much better. The Dodgers' acquisition of Machado before the trade deadline was arguably the biggest MLB deal of 2018. Yet the Dodgers' trade with the Pittsburgh Pirates for veteran infielder David Freese right before the deadline flew under the radar. Freese is a few years removed from his phenomenal 2011 postseason, when he was both the NLCS and World Series MVP with the St Louis Cardinals. But the 35-year-old infielder still provides quality at-bats, and he is a luxury for the Dodgers on the bench. He showed that once again on Monday in the sixth inning when his pinch-hit, two-run single put the Dodgers ahead 3-2. Beyond his bat, Freese brings a different feel to the clubhouse, as Dodgers third baseman Justin Turner recently told the Orange County Register . "His pedigree is off the charts in our clubhouse," Turner said. "He's probably been in and done it better than anyone else we have." If you were a GM, with the ability to choose any existing roster/payroll in MLB as your own, it would be hard to pass on the Braves'. Atlanta are loaded with young talent that will be inexpensive and under club control for several years. Young stars such as Ronald Acuna Jr. (age 20), Ozzie Albies (21), Dansby Swanson (24) and Johan Camargo (24) are only going to get better with experience. Perhaps that inexperience hurt the Braves in the first two games of the NLCS, both Dodgers shutouts. But the Braves battled back to win game three and pushed the Dodgers in game four before losing. It would be almost a shock not to see them return to the postseason next year, and probably the next two or three.